The Plexiglas Principle states that a team that unexpectedly breaks out one year should be expected to decline the following year; rather than continue improving, one should expect that team to decline from their previous year’s success. Categories: Indians News | Tags: Cleveland Indians, Jason Kipnis, Ryan Raburn, Yan Gomes | Permalink. It’s truly a good time to be a sports’ fan here at the Corner of Carnegie and Ontario. Sure, I could wax poetic about Spring Training once again, but it goes far beyond that. NFL free agency is upon us (with the Browns major players), and by this time next week, we’ll be on the eve of the 2014 NCAA basketball tournament. The tournament, for me, has always been the bridge to the opening day of baseball, a sure sign that spring is here, and meaningful baseball is on its way. It’s truly funny how the tournament has changed since I was a kid. Initially, the tournament seedings were a fairly hidden process, without much fanfare. As a kid, I didn’t pay attention to the brackets until they came out in the middle of a Sports’ Illustrated magazine, with the teams already printed. That segued into the blank newspaper brackets, and selection Sunday, which I would spend writing down every team as fast as I could, always missing one, but going back to the tapes for the random unknown teams such as Middle Tennessee State or LaSalle. That turned into the college poster board brackets, which I would meticulously measure out every bracket just so, and color code all of the teams with their respective ranking, seed and side of the bracket. Of course, these were the centerpiece to some “friendly wagers,” as the quest for yearly bragging rights began every mid-March. While much of our next few weeks will be swallowed up from the opening tips of the conference tournaments to the now clichéd “One Shining Moment” on Monday, April 7th, the Indians will be putting together their final pieces in what hopes to be the next step to a World Series run. In 19 days, the Tribe will kick off their 2014 season in Oakland, and there are many interesting questions heading into the season. Categories: Cleveland Indians, Corner of Carnegie and Ontario, Indians News | Tags: Carlos Santana, Jason Kipnis, Lonnie Chisenhall, Michael Bourn | Permalink. Pitchers and Catchers have reported to Goodyear, and of course, many, if not all position players are either already there or on their way. No, it’s not spring yet, as I sit at home in the midst of a rare Carolina snowstorm, but it’s time for hope to spring eternal. 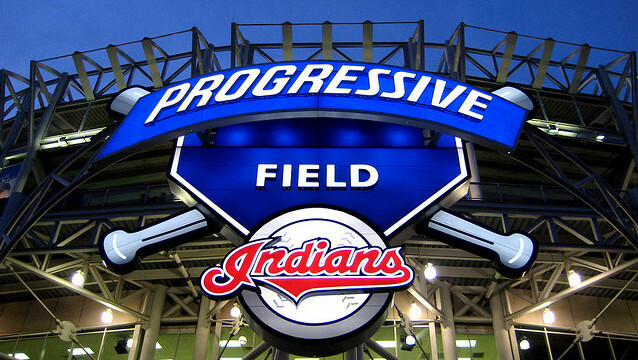 The Cleveland Indians are about to embark on a curious season. It’s a season in which they are building off a surprise run to the playoffs with a rather rag-tag group of players. Many think they can’t match, and on paper, there are major questions. But, it’s time for optimism. It’s time to ponder what could happen if it all clicks together…you know…like it did in September last year. What happens if Terry Francona figures everything out, and what happens if some players reach their upside, and what happens if last year really wasn’t an aberration, but a spring-board? It’s time to ponder one more time before the facts and faces of a new season take over. It’s time to be a politician and campaign for this team. Mr. Dolan, Mr. Antonetti, members of the Indians front office, field management and fellow Tribe fans, today at the Corner of Carnegie and Ontario, we take a close look at a team that has spent the past 18 months trying to create a roster that is balanced, cost-effective, and built to win in the future. This team, in less than a year, went from a laughingstock to a playoff spot. A manager returned to the game of baseball and spent time with a team who needed it, and that manager did his part to lift the Indians’ to its highest levels in six seasons. An Ohio boy, or should I say, a “BrO-hio” boy flipped the switch on the belief that no free agents would come to Cleveland, and that the Indians wouldn’t spend money on free agents. No, that free agent didn’t have his best season, and he struggled at times, but he showcased that blue-collar attitude that Cleveland fans loved. He gave the team a leader in the clubhouse, something that this team hasn’t had since the 2007 team was dismantled. A youngster started the season off as a limited-innings starter in Akron in April, and ended up the one-game playoff starter for the Indians in October. This young man struck out seven in his first six-inning start in July, but saved his best for his next chance in August. He returned against the first place Tigers, and while he ultimately gave up the game-winning home run to their offensive-savant, Miguel Cabrera, he had previously struck that same player out three times on his way to ten K’s in 7 2/3 innings. This kid looked special in his first season with the Tribe, and we may have only touched the tip of the iceberg. An unassuming leftfielder who “just does his job” made his nickname, Dr. Smooth, seem an understatement on his way to a four-year, $25 million dollar contract. He “only” hit .284 with 10 homers and 73 RBI. At one point or another, he hit in every spot but the ninth spot in the line-up. He hasn’t committed an error in almost two full seasons. He hit .345 during the Indians’ magic run in September, while hitting .375 with runners in scoring position and .364 with two outs and RISP. In other words, he does a little bit of everything, and when he’s clicking, he does a little bit of everything really well. He may be the smartest offensive player on the team. One quiet catcher started the year as an afterthought in Columbus. He was an afterthought in a trade for a utility infielder. He was an afterthought as a prospect. He was an afterthought as an everyday catcher defensively because of what turned out to be a simple lack of exposure. Today, he is the starting catcher for the Cleveland Indians, considered a plus-defender, and may have more upside offensively than anyone could have dreamt. The other quiet catcher started the year having to catch because most said that was the one place in which his statistics translated to “star-power.” Well, he once again had one of those monstrously solid seasons that underwhelmed the 90’s-era power fans, but overwhelmed the majority who actually pay attention to the game of baseball. Oh, and he got bumped from catching duties, and now looks like he may be the everyday third baseman. Today, the day after pitchers and catchers have reported to Goodyear, Arizona to kick off the 2014 season, the Cleveland Indians begin another drive for the playoffs with one voice, the voice of arguably the best manager in baseball, Terry Francona. Francona knows the game of baseball, but so do a lot of guys. What makes him special is that he has a keen intuitive feel for the game that many others don’t. That can frustrate fans at times, because it doesn’t always work, but for Francona, it works more often than not. This is a manager that has built the kind of trust in the Indians’ clubhouse, and with the Indians’ management, and with the Indians’ ownership, and with the Indians’ fans that is often elusive for many years for most, and never happens for many. Everyone always knows where they stand, and they trust the decisions that are made. In other words, Francona runs a tight ship. This team had no business making it to the playoffs, but make no mistakes about it, the groundwork was laid down by Francona. While most believed the Indians were just trying to right the ship in 2013, Francona had his sights set on the playoffs. Never bet against Francona. And here are the results of Francona’s efforts: the Indians have momentum that they haven’t had in years. Their on the field management all returns with players they are now familiar with. Their starting rotation returns after their best season since the days of Cliff Lee and CC Sabathia, and while they are shorthanded with Ubaldo Jimenez andScott Kazmir both moving on (well, one of them for sure, the other likely), there’s reason to believe they could be even better than last year. Their offense returns intact from a top ten offensive team, and appear to have some upside to give. The bullpen added by subtracting, then added by adding. While you can’t point to one thing, on paper, that’s exceptionally better than at the end of last season, there is one thing that I firmly believe is different. 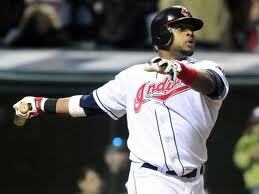 The Cleveland Indians are pointing themselves towards the 2014 World Series. That’s undoubtedly Terry Francona’s goal. No, my fellow IBI readers, I’m not saying it in the way that you are thinking. You know, that clichéd “everyone plays for the World Series” garbage. I mean, this manager believes the Indians can not only make it to the World Series, but I really believe that he thinks he can win it. Whether or not you believe that, it’s now time to re-invest in these Cleveland Indians. It’s time to stop comparing them to the teams of the past. No, they aren’t the Indians of the 1990’s. No, they aren’t even the Indians of 2005 & 2007. These Indians aren’t centered around the offensive juggernaut that Albert Belle and Manny Ramirez and Jim Thome wrought. These Indians aren’t dependent on the Cy Young pitching of CC Sabathia, Fausto Carmona and Cliff Lee. These Indians are built around two words: team and trust. They play like a team, and they trust what the other guys will do. That’s why I believe this can be a breakthrough year for the Indians. After a season of grit and determined effort, this franchise is better-positioned for 2014 and beyond than any other team has been here on the North Coast in many, many years. There are many questions for everyone here at IBI and here in Cleveland. Can the Indians break the trend of having one good season, followed by a season of regression. For several years now, the Indians struggled just to find talent after their 2007 playoff team was dismantled. Now, with Nick Swisher and Michael Bourn signed for three more seasons; and with Carlos Santana, Michael Brantley, Yan Gomes, Jason Kipnis, Danny Salazar, Corey Kluber and Zach McAllister, to name a few, anchoring this team for the foreseeable future, the Indians look to be building something more than a no-hit wonder. Now, as a fairly-biased writer, I’m ready to be bullish on Cleveland finally take it to the next level and helping to rebuild a fan-base and market that is desperate for a winner. I’m ready to watch Terry Francona take a team that is likely an 82 or 83-win team right now, and build them into something more. I’m ready for ownership to hold their chips until the right player comes along, and firmly believe they will. Let’s start with the rotation. Please understand, the Cleveland Indians had an incredible starting rotation last season. Many can argue the merits of the players that were in this rotation, but you can make a case that they all carried this team at one point or another. Two of those players are gone. That leaves the Indians with some questions that they really have to answer. Justin Masterson is the only starter guaranteed to make the five-man rotation that has completed an entire season in the major leagues as a starter at the big league level. There are many that still argue his merit as an “ace,” but on this “team,” that’s not necessarily relevant in the grand scheme of things. He’s certainly the leader of the team, and believe in many ways that the 2013 rotation was partially a result of Masterson. He’s the type of personality that people gravitate towards, and I believe there was a group of guys that fed off of it in a domino-sort of way. They build upon each other throughout the year. Masterson gave way to McAllister who gave way to Kluber who gave way back to Masterson and then to Kazmir, who shared with Salazar. Ubaldo then took the ball that Francona snatched away from him…and the final piece clicked for that rotation. Masterson is back, and while many are focused on whether or not he signs a long-term deal, the reality is that he’s here now, and for this coming season. Whether or not the Indians sign him long-term is up in the air, but there’s no doubt that the reliable Masterson will provide the leadership for a rotation that could round out into something interesting, if all stay healthy. Taking Ubaldo’s spot as the #2 starter is Danny Salazar. Again, there are arguments brewing over whether or not Salazar is special, or should be expected to be special. I’ve run through the numbers over-and-over here at the Corner, and I would rather be liberal with my take, then the conservative views that seem to purvey. When healthy, Salazar has dominant, special stuff. He’ll be healthy this year. While some are concerned that he gave up far too many homers, and comment on his lack of movement, and perhaps lack of pitches, don’t weigh those comments too highly. Salazar is a worker, and has a really good IQ. That will change in 2014. The rotation hinges on the #3 slot that belongs to Corey Kluber. If he returns to the form that made him borderline special up until his injury last year, then this rotation has a chance to be better than last year. Again, there’s a stigma around Kluber like there is around Masterson that he’s not an “ace,” but I really wonder about that. He’s always had the stuff, and with two new pitches that were working well in his arsenal last year, we may have only seen the beginning of a metamorphosis of sorts for Kluber. If he’s special, with Masterson and Salazar, I’d put our top three up with anyone. Now, Zach McAllister is the #4, and I do have some hopes for him. The difference between McAllister and the other three is that he really lacks one pitch that can get him out of jams. It’s burned him as teams have figured out his stuff throughout a game, and it’s going to be hard to overcome. Still, he was lights out for a stretch in late April in May, and while I don’t expect THAT pitcher all the time, if he’s healthy, and can weave in and out of that, he is the perfect #4. The #5 slot is open for discussion, and I do believe the Indians will wrap up another starter to fill this hole prior to the season. If they don’t, look for the Indians to piece-meal a fifth starter throughout the year until someone takes it (Bauer) full time because of injury or just being that good. Oh, and I’m going to follow up the much respected Senator from McKean, Steve Orbanek, and say that if everything goes well with Cody Anderson’s development, and if injuries creap into this rotation, he will make his name known before September. A lot would have to happen for THAT to happen, but who outside of this column thought Salazar was going to start for the Indians last year? The key to this is the Indians’ health plan. Can they keep the top four healthy all season long. If they can mimic the Tigers with regards to health, than it almost doesn’t matter who that #5 candidate is. They’ll have their work cut out. In the bullpen, we no longer have to worry about the alleged “doggy drug trade” that the former Indians’ closer was a part of. With Chris Antonetti adding a new closer in John Axford, the Indians immediately take on a different look. Yes, there are lots of questions about Axford going forward, but if the stories are true and his tipping pitches problems are truly over, the Indians may have a diamond in the rough. What a difference that would make, to have a closer that can shut people down. I’m not sold on that though, but the Indians have plenty in place to help supplement Axford should they need it. One of those guys is Cody Allen. He’s young, but he’s far-and-away the best reliever on this team right now. He struggled last year at times, but that’s to be expected from a guy that a year before, was pitching in Carolina. His rubber-band has snapped back now, and you can almost look at him as a veteran in the pen. His stuff is special, and so is his psyche. Past Allen are guys like Bryan Shaw, CC Lee, Mark Rzepczynski and Josh Outman, who should improve this pen by a lot heading into the season. The wildcard is Vinnie Pestano. The trends are disconcerting with the fireballing righty, but if it was a 1-year, injury slip, he could take the pen to the next level. The pen will be a work in progress, as most are, but I firmly believe Mickey Callaway and Terry Francona will manage this pen throughout the season so that it’s ready for another stretch run, and into the playoffs. It may have been their biggest accomplishment last year…when the pen went from bad to solid after Pestano was sent down in August. That’s what trust does. It gives a team a pillow when things go wrong. Pestano’s demise could have been demoralizing. Instead, the Indians’ pen springboarded from that point on. The pitchers have questions, but the foundation is strong, and the management team knows what they are doing. I’m extremely pleased with the offense on this team, and think that it won’t take much to make it better than their feast-or-famine offense of last year. Let’s be honest. While we love the fact that we scored a bunch of runs, we all know that it wasn’t a prototypical team that scores a lot. There were games…weeks really…when this team struggled to find their bats. It starts with Jason Kipnis, who played his first full season in which he didn’t have to carry an entire major league team on his shoulders. His numbers were good, but much of that came from a subliminal June in which he was the player of the month. This is the year he stops being the guy that’s up and down, and starts being the guy that everyone expects him to be. 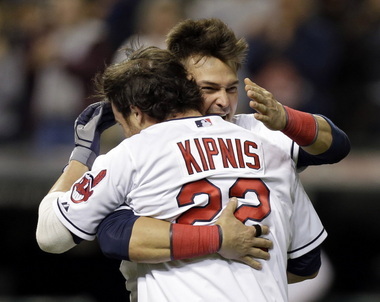 Kipnis plays hard, and I really believe he will harness that this year. Yes, he can hit 20 homers. Yes, he can drive in 100 runs. Yes, he can score 100. Yes, he can steal 25-30 bases. I don’t know that Indians fans understand what his ceiling is. Sure, I’m critical of how he’s struggled at times, but I was bemused a bit by the scuttlebutt last year that he might get sent down when he struggled in April. I love that Carlos Santana isn’t playing catcher, and could care a less whether or not his plays first or third or DH’s. I get weighing players by what they do at certain positions. There’s tons of validity to that. Of course, what drives me bonkers is when people look at a move in a bubble. If you move Santana to first and his a top-25 hitter in baseball…he’s still a top-25 hitter in baseball. The move may make him better, since he’s not behind the plate. You then have to balance the guy that replaces him at catcher. To me, you can counterbalance value if the right players fit the opening he leaves. Yan Gomes will do that. I’ll get to him in a second. While I don’t care if Santana improves, I think there’s plenty of upside there. I don’t need a prototypical home run hitter, but I do think that Santana can be one playing just the way he plays. He has these moments and stretches in which offensively, he is unstoppable. The question is whether or not he can do that over longer stretches. If there’s ever been a season to do it, it’s this season. I’m not sure about the third base trial, but I’ve said for two months that the Indians aren’t going to have him playing third in winter league play if this was just shot-in-the-dark. I think he’s your starting third baseman. I worry about his offense with a new position, and worry about his defense to. I’m curious, but would likely prefer him at first. In the end…I’m just glad he’s an Indian. Now Gomes should regress. The projections say it. The peripherals show it. My brain tells me that being the regular catcher in your second season in a league that has a ton of video means you are going to regress. But what if he doesn’t. What if everyone had it wrong this year, the same way that everyone had it wrong last year. What if just playing catcher finally allowed the utility-ish player to focus on one area. What if Yan Gomes is a budding star, in the mold of say…I don’t know…Santana. Oh, except as a plus defender. Now, I believe in Hope, but I also believe in reality. The worse-case scenario here is Gomes is a great defender with an iffy stick. I’ll take that…because he can handle a staff, and he has an attitude that screams captain to me. I’ve already described Michael Brantley, and he’s not a guy I worry about having a contract-lull. When I look at Brantley, I think IQ. This is a guy that attacks pitches he knows. He is a guy that is becoming more analytical as he goes, and is so efficient with the bat, that I don’t know how good he could be. Is he a 20-homer guy in the end? Maybe. A lot will depend on where he hits. I think he’s the type of player that alters his swing dependent on what’s going on around him. He’s that good, and better than people think. The Indians did right by signing him up for four years with the potential for five. I’m not going to spend a lot of our time on Michael Bourn, and I’m going to ignore the analytics, and many good politicians do. I’m just going to go on a hunch and say that I think Bourn has one more good season in him. I don’t know if it was because he was hurt. I don’t know if it was because he was in a new league. I don’t know if it was because he was regressing. What I’m hoping is that it’s just one of those years, and Bourn is a magical lead-off hitter. Call it my magic-centerfielder-theory. There isn’t one metric backing me up. I believe in dominoes falling, and Francona has a knack for lining up those dominos. Nick Swisher will regress. I believe that. What does that mean though? He’ll still hit 20 homers. He’ll still get timely hits. He’ll still be the captain of this team. If he stays healthy, he may regress and have better numbers than last year. I know, more politician talk. Swisher’s importance to this team is so far beyond his offense though. I love the Murphy/Raburn platoon in right, if that is what it truly is. I do believe Murphy gets the bulk of the time there, and that Francona manages Raburn in the same manner in which he did last year. Murphy is set to rebound, and is a plus defender. I can’t wait to see him play, and to see how that domino helps the rest of the team. Mike Aviles is solid, and they’ll find pieces to fill in the rest of the roster. Watch for Jose Ramirez. I’m consistently told he doesn’t have a place to play, and I begrudgingly admit that he’ll never get a shot at second or short as long as Asdrubal Cabrera and Francisco Lindor are at short, and Jason Kipnis is at second. But if there’s ever an opening, or if the Indians pull a trade, watch out for him. He has plus-plus speed. He is magic with the bat. He’s better than people think. If he gets a window, he could be a massive surprise. Lindor will be heard from, and could force the issue. Jesus Aguilar might be heard from. Several others from the minors might be worth mentioning as well. That may be the major difference in this team from the past. There’s help, both in players and potential trade candidates. This team has the ability to replenish. Now I realize that I paint a rosy picture here at the Corner of Carnegie and Ontario, but there comes a time in our lives when we have to give in to the expectations of people who know a lot more than we do. Terry Francona is that guy. Trust me when I say this: he believes this team can get to and win the World Series. They may have to maneuver. They may have to scrape. They may make a trade or two. They may have to work through injury. But this team could be special. The youth is a year older. The old players aren’t really that old. It will be difficult. The Tigers are still good. The Royals seemingly improved. The Yankees bought have the league. The Angels should rebound. The Rangers continue to make moves to be better. There are other good managers and other good teams that believe it’s their time and their town. But for 65 seasons, our town has not-so-patiently waited for someone to take this team on their collective shoulder to win that World Series trophy. For lifetimes, we’ve waited for the right mix and right pieces to come together to create a winning culture that had the ability to take that final step. Those great teams of the 90’s couldn’t do it. Those great teams of the Aughts couldn’t do it. The Cleveland Indians won’t be respected, not by the national media, and likely not by many other major league organizations. But sometimes when all the dominoes fall into the right place with their feet planted firmly in today, a World Series is within reach. Categories: Cleveland Indians, Corner of Carnegie and Ontario | Tags: Carlos Santana, CC Sabathia, Cliff Lee, Jason Kipnis, Justin Masterson, Michael Bourn, Michael Brantley, Nick Swisher, Scott Kazmir, Ubaldo Jimenez | Permalink. It may have taken some time, but it appears as if the Indians’ offseason plans are finally becoming a bit clearer. During the past week, we’ve seen the Indians sign John Axford, Shaun Marcum and trade Drew Stubbs to acquire Josh Outman. None of these moves could be described as big acquisitions, but it does at least signal that the Indians are trying to address their concerns and get… better. Better — that’s an interesting word to consider. The Indians won 92 games last season and also earned one of the American League’s Wild Card berths. Knowing that, it’s not going to be that easy for the team to get much better; it’s very difficult to win much more than 92 games in a season. So let’s consider that word one more time. Has this team actually positioned itself to be better in 2014? Offensively, it looks as if that may be the case. A platoon of David Murphy and Ryan Raburn will now replace Stubbs in right field. Murphy is coming off a rough 2013 campaign, but he does seem like a solid candidate for a rebound season. Also, we know the back of the bullpen was a problem area for the Indians in 2014. They did improve that a bit by acquiring the lefty Outman, and Axford will now be the closer. However, Axford has not been a closer since 2012, and he also has a career average of 4.0 walks per nine innings. Tribe fans can probably expect that Axford has a comparable performance to Chris Perez, and it’s no guarantee that he will offer much more than that. Also, it appears as if the Indians are banking on offensive players like Michael Bourn, Nick Swisher and Asdrubal Cabrera having much better seasons at the plate. It does seem likely that all three of these players could rebound, but what if then Yan Gomes, Carlos Santana and Jason Kipnis also have down years at the plate? In all honesty, it seems fair to conclude that the offense has made a slight improvement with the addition of Murphy over Stubbs, and the bullpen does seem a bit more stable. The team now has two viable left-handers in Outman and Marc Rzepczynski, and that was not the case last season. But there is one area where the team is noticeably thinner — starting pitching. 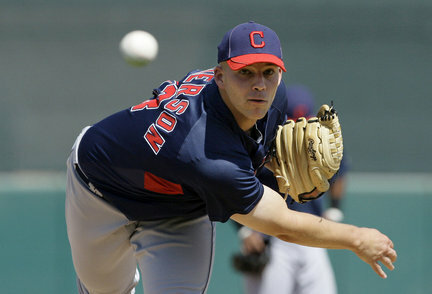 As of now, the rotation appears to be Justin Masterson, Danny Salazar, Corey Kluber and Zach McAllister. The fifth spot in the rotation will likely be decided in a battle between Carlos Carrasco, Josh Tomlin, Trevor Bauer and Marcum. Sorry, that’s simply just not enough. The Indians have already lost Ubaldo Jimenez and Scott Kazmir, who both played integral roles in leading the team to the postseason last year. Do the Indians win 92 games without either of these two guys last year? Categories: Cleveland Indians, Orbiting Cleveland | Tags: Asdrubal Cabrera, Carlos Carrasco, Carlos Santana, Corey Kluber, Danny Salazar, David Murphy, Jason Kipnis, Josh Tomlin, Justin Masterson, Michael Bourn, Nick Swisher, Ryan Raburn, Shaun Marcum, Trevor Bauer, Ubaldo Jimenez, Yan Gomes, Zach McAllister | Permalink. The Cleveland Indians have a top three offense in 2014, even if the rest of the league doesn’t quite know it yet. The funny part of it all is that the Indians were a top six offense in 2013, and will only get better. It shouldn’t be a surprise, but it is. When you look at the Indians offense of 2013, and project it forward to 2014, it’s easy to push it aside as a mediocre club. There really isn’t one player on the roster that you can point to as being dominant. You can say many kind things about Jason Kipnis, and he’s really, really good, but he’s not become the consistent month-to-month producer yet. You can say many kind things about Carlos Santana, and he’s the best offensive player on the team, but he’s still not reached his ceiling yet (trust me). Swisher and Bourn both make a lot of money, but aren’t really in their prime, and never really were players that could carry their club. Gomes is too young and Brantley just doesn’t have the overall numbers to be that kind of player. In 2013, the Indians did a lot of things very well offensively. Overall, they scored 745 runs on the season which was sixth in major league baseball, and fifth in the American League. What’s most interesting about their runs scored is that they were consistently in the top ten from month-to-month. Certainly that’s not the end-all and the be-all statistic for how good an offense is, but at the end of the day, the name of the game is scoring runs, and the Indians were very good at that last season. Categories: Cleveland Indians | Tags: Asdrubal Cabrera, Carlos Santana, Cleveland Indians, Jason Kipnis, Michael Bourn, Michael Brantley, Nick Swisher, Terry Francona | Permalink. Michael Hattery and I discuss how good the Indians lineup will be in 2014, taking a step-by-step look at Francona’s likely lineup. Categories: Cleveland Indians, CSI: The Podcast | Tags: Asdrubal Cabrera, Carlos Santana, David Murphy, Jason Kipnis, Lonnie Chisenhall, Michael Bourn, Michael Brantley, Mike Aviles, Nick Swisher, Ryan Raburn | Permalink. The winds of change are blowing here at the Corner of Carnegie and Ontario, as Drew Stubbs was sent packing to the Colorado Rockies for left-handed reliever, Josh Outman. The deal in and of itself wasn’t something that should shake the ground that Cleveland Indians fans walk on, but it certainly showcases Chris Antonetti’s drive to reshape this team. 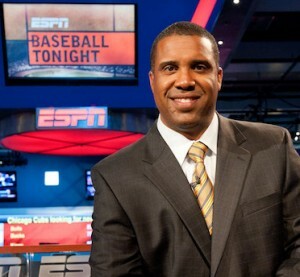 Stubbs became expendable back in November when they signed outfielder David Murphy to a two-year deal, and while there was speculation that Michael Bourn may be the better candidate to deal, it turned out that the initial belief that Stubbs would be dealt turned out to be true. He’s most certainly going to be the second left-hander in the bullpen, after the Indians acquired Marc Rzepczynski last year. He’s the pure definition of a LOOGY, as he absolutely decimated left-handers last year to the tune of .186/.251/.272 over the course of his major league career as both a starter and a reliever. Outman should also provide a bit of a value gain from Drew Stubbs, as he should make $2 to $3 million less than the former fleet-footed outfielder would have made with the Indians this season. I know that many people wanted more for Stubbs based on a market that seemingly is overpaying for everything, but he’s likely exactly the right value. Will this preclude the Indians from making more moves as the offseason continues? Categories: Cleveland Indians, Corner of Carnegie and Ontario | Tags: Asdrubal Cabrera, Carlos Santana, David Murphy, Jason Kipnis, Lonnie Chisenhall, Michael Bourn, Michael Brantley, Yan Gomes | Permalink.